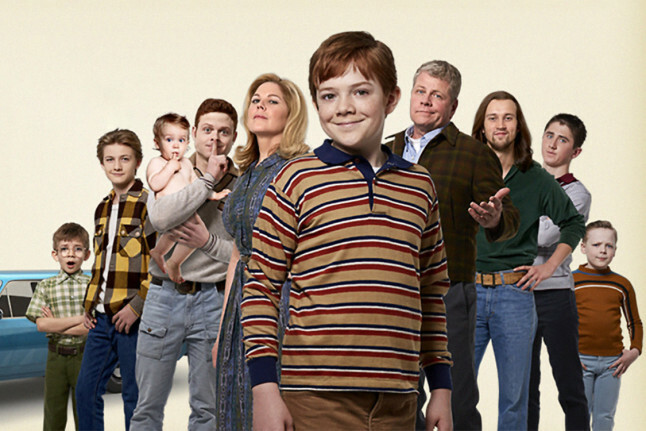 (LOS ANGELES) — Tonight’s episode of ABC’s 1970s-set comedy The Kids Are Alright will feature a guest appearance from former child star Danny Bonaduce, co-star Michael Cudlitz tells ABC. In the episode, titled “Low Expectations,” Jack Gore’s character, Timmy — one of eight boys in an Irish Catholic family in suburban L.A. — enters a contest to appear on Bonaduce’s classic sitcom The Partridge Family. The guest star’s appearance was supposed to be a secret, but set spies put an end to that. “I think that we’re trying to keep it quiet but not really. I was kind of smiling and laughing because I’m like, ‘Y’all don’t know how to keep a secret.’ You know, ABC? Like, they could work on their secret game,” Cudlitz laughed. The actor knows a little something about spoilers. The fanbase of his former show, The Walking Dead, has a voracious appetite for any details that could untangle secret plot points — such as the revelation of the murder of his character Abraham in the season seven premiere. The Kids Are Alright airs at 8:30 p.m.ET tonight on ABC.